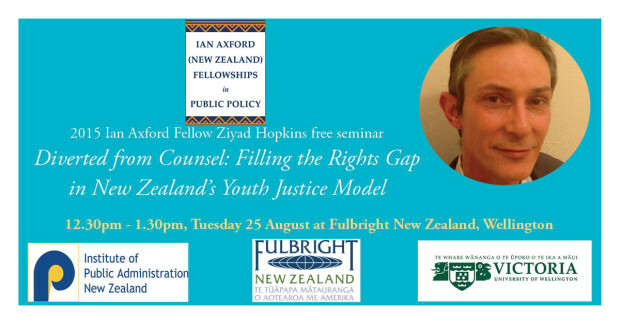 Fulbright New Zealand invites you to a free seminar by 2015 Ian Axford (New Zealand) Fellow Ziyad Hopkins, presenting his research on Diverted from Counsel: Filling the Rights Gap in New Zealand’s Youth Justice Model. Ziyad, a Boston-based attorney, works Youth Advocacy Division for the public defender’s office. During his Fellowship, he was hosted by the Ministries of Social Development and Justice. 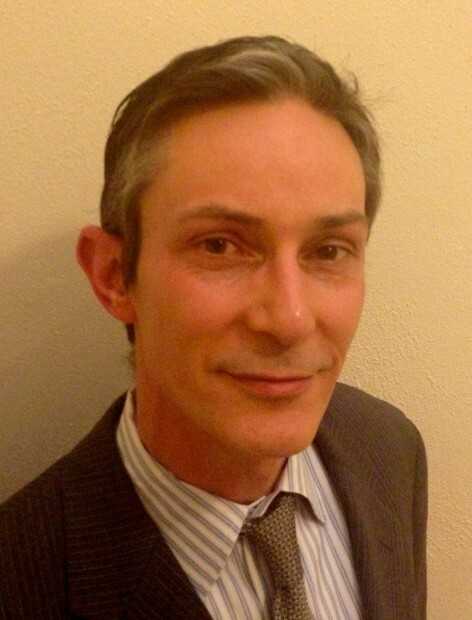 The Ian Axford (New Zealand) Fellowships in Public Policy programme offers outstanding American professionals the opportunity to gain experience in public policy in New Zealand, and to gain first-hand knowledge of economic, social and political reforms, and management of the government sector. The programme has three goals: to reinforce New Zealand-United States links; to improve public policy practice in both countries by the cross-fertilisation of ideas and experience; and to build an ongoing network of public policy experts on both sides of the Pacific. Towards the end of their Fellowships, the Fellows publish policy reports at a series of public seminars. We encourage members of the public service to attend these seminars, in order to learn about interesting projects that have been undertaken by practitioners who have a US perspective. These seminars are jointly presented by IPANZ, the School of Government at Victoria University of Wellington and Fulbright New Zealand. Click here to register. Download Ziyad Hopkins report abstract.